The Quinnipiac Bobcats women’s lacrosse team (5-7, 2-2 MAAC) will host the Niagara Purple Eagles (3-9, 0-3 MAAC) on Saturday at noon at the Quinnipiac Lacrosse Stadium. The Bobcats are coming back home on a two-game winning streak after defeating Iona and Canisius on away turf. The Bobcats started out slow, but have worked their way back to a tie for sixth in MAAC Standings with Marist. The team scores an average of 10.83 goals per game, while allowing 12.58 goals per game. On the other side, the Purple Eagles are currently on a nine-game losing streak after starting out 3-0. Niagara is tied for seventh in the conference with Iona at 0-3 in the MAAC. The Purple Eagles score 11.42 goals per game, but give up 12.67 per game. 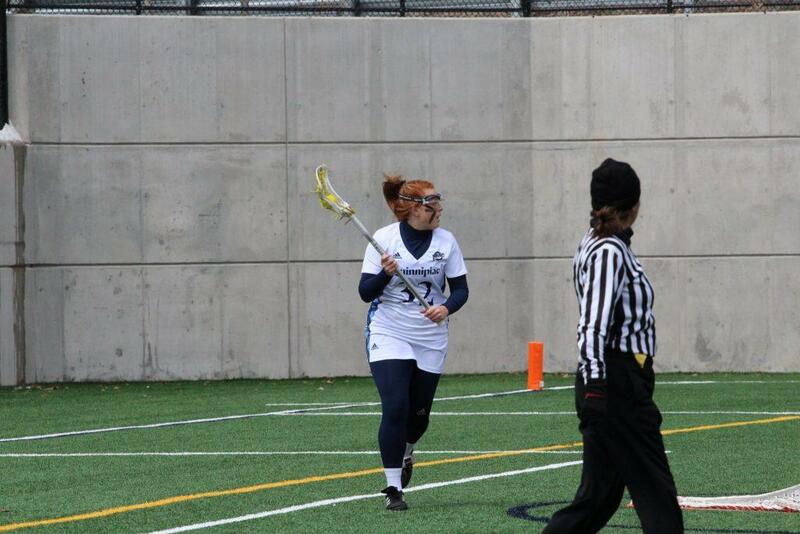 Senior attack Allison Kuhn has had a great start to her final season as a Bobcat. Kuhn has a team-leading 32 goals and 15 assists in 12 games this year. Those 15 assists are a career high, and she only needs three more goals to tie her career high. For the Bobcats to win three in a row, she needs to continue her career year. Another senior attack, Rachel MacCheyne has been carrying the Purple Eagles. She has recorded a team-high 40 goals, and is second on the team with eight assists. MacCheyne will need to come up huge for the Purple Eagles to end their losing ways in Hamden. The Bobcats need to start out fast in order to keep the Purple Eagles at bay. The Bobcats have only led at halftime in three games this season. While they have been able to come back and win some other games, playing catch-up is not a formula for success. They need to capitalize early against a struggling Purple Eagles team so mistakes later on do not hurt them. The Purple Eagles need to get some confidence. Right now, they can look to their defense as the big culprit for their demise. They have been allowing way too many goals in their past six games (15.83 per game over that stretch), including a 25-goal shellacking from the University of Massachusetts. They have scored enough to win games, but their defense has been lagging. In order to get their first win since February 23, they need the defense to tighten up. Make sure to tune in to QBSN’s live broadcast of Quinnipiac vs. Niagara from the Quinnipiac Lacrosse Stadium in Hamden, Connecticut. Jon Surratt and Max Schreiber will be on the call for the game. For live updates throughout the game, make sure to follow us on Twitter.